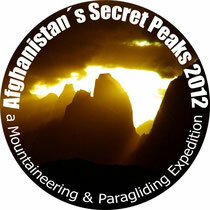 Our Philosophy - wakhanexpedition2012s Jimdo-Page! Our basic travel philosophy is a low impact style “leave nothing but footprints, take nothing but pictures”. Our expedition and mountaineering idea is a minimal approach following the paradigm “by fair means” without high porters but still engage local people like guides or horsemen for transporting our goods to the base that exceeds our own carrying abilities. Since the local involvement strengthens their contact with foreigners as paying guests to reanimate the idea of tourism as additional income. Mountaineering aspects: Our climbing will be strictly alpine style by fair means – no high porters on the ascent. We go as light as possible with a minimum of gear involved. If there is a need for fixed ropes due to technical difficulty, we make sure to take them back to avoid it being used by future expeditions when not in full strength for use, as well as taking back all other equipment. Communication devices - satellite phone or PLB´s (personal location beacons, also known as GPS based spot messengers, that not only record our exact location for people around the world but also allow emergency calls by messenger. Medical supply - our professional expedition doctor, with a focus on epidemic diseases, takes care of the right use of all our medical supply we bring along. This includes all necessary stand by medications for severe symptoms of AMS, as well as medicine for all other possible complications a visit in this area can bring along: several kinds of antibiotics for it is specific use, first aid kits and so on. Environmental aspects: as we all appreciate and respect the natural beauty of our beloved mountains, we are absolutely aware of the sensitive high altitude eco-system. That is why we are totally devoted to environmentally friendly, low impact and light travel and planning to bring with us only necessary items. None of plastic package will be burned in the mountains and created litter will be taken back with us. The team will only be using biological soap and washing liquid. We will provide our own fuel for cooking to avoid using local bush or yak dung that are normally used by local population in summer settlements when travelling to higher grazing areas. Additionally we contribute to a reforestation program to make our expedition CO2-neutral, concerning our international flights and use of gas during the trip. Cultural and socio-economical aspects: On the socio-economical side we do engage local people like guides or horsemen, since local involvement strengthens the idea of tourism as additional income for the locals. At the same time our local team members help us to get in contact with settlements along our way. From our prior expeditions and tours, especially through the Wakhi dominated Shimshal and Wakhan Corridor we are very much familiar with local Wakhi culture and its centuries old traditions, Ismaili belief and Islamic religion in general. We are very much aware of our situation seen as aliens by the locals – and that the perception of Western people is widely influenced by stereotype thinking and one sided media reports. At the same time we realized on our prior tours that through our behaviour, personal contact and respectful communication on eye-level with the locals – this is what helps to reduce borders of distrust, this can make a change.